Medical gloves and single-use gloves for patient and self protection during examinations, for use in the operating theatre and even protective gloves for handling disinfectants and cleaners are available in our online shop. Examination gloves protect the user from direct contact with potential infectious substances. 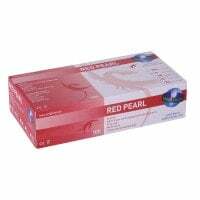 We offer you a broad range of disposable gloves at favourable prices. At Praxisdienst you will find a broad range of high-quality, brand surgical gloves in many sizes for different surgical procedures. Glove dispensers hold glove boxes and provide very hygienic removal of individual gloves. They are also available as a multi-box model with size labels. Praxisdienst offers you a large selection of examination gloves that are free of allergenic latex proteins, which are particularly well suited for users with latex allergies. Bring Colour into your Surgery! Praxisdienst offers a wide array of high-quality, brand name disposable gloves in modern colours. With Praxisdienst, you are able to buy undergloves from Ansell that are specially conceived for double gloving for surgical operations. Disposable gloves (single-use gloves) for medical purposes are used on a daily basis in the surgery, hospital or lab as protection for various applications. Just like regular use of hand sanitisers or surgical masks, medical gloves are among the most important elements in basic medical hygiene and are part of the individual protective wear for both, the patient's and wearer's protection. Single-use gloves not only protect the wearer from potentially infectious pathogens, but they simultaneously prevent germ transmission to the patient. Furthermore, disposable gloves also provide chemical protection when dealing with skin-intolerable substances. You can order medical gloves and protective gloves made from various materials from us. 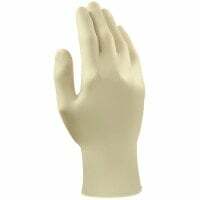 In addition to classic latex gloves, we offer you latex-free nitrile gloves for users with latex allergies, exam gloves with a mint flavour for oral exams, disposable gloves with a moisturising inner lining or sterile copolymer gloves. The surgical gloves category consists of high-quality, single-use gloves for various areas of application, such as general surgery, micro surgery, orthopaedic surgery or reconstructive surgery. 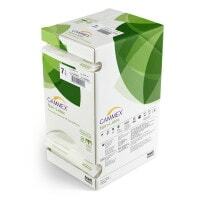 Here, we offer you protective gloves from renowned brands and manufacturers, like the Gammex series from Ansell. 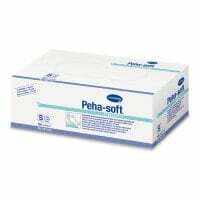 We exclusively supply high-quality disposable medical gloves from renowned brands and manufacturers like Ansell, Ampri, Hartmann, Peha or B.Braun; depending on requirement, either powdered or unpowdered/powder-free, sterile or non-sterile. Even the compatible glove dispenser (box holder) for your protective gloves can be found in our assortment. Examination gloves (non-sterile) most often come into use as a medical glove for non-sterile activities, such as patient exams, lab exams or dressing changes. 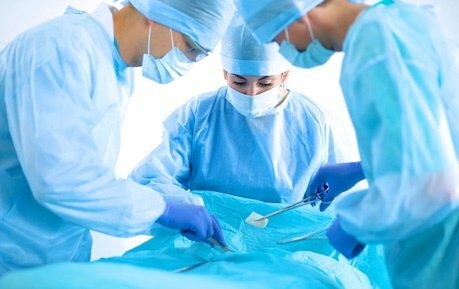 For operations, however, special, sterile single-use gloves, like surgical gloves, are used because they least affect tactile feel and sensitivity. Single-use gloves can be made from many various materials, such as latex, nitrile or vinyl. Vinyl gloves and nitrile gloves are latex free and are always a good alternative for users with allergies that prevent them from wearing latex gloves. In addition to the material of the single-use gloves, the size plays an important roll in providing an optimal fit. Even the colour of many disposable gloves can be freely selected. Depending on the manufacturer and model, the gloves could not only be available in plain white, but also in blue, pink, purple or black. Common disposable exam gloves are optionally available as powdered or non-powdered (powder free), as is the case with surgical gloves. Because the powdering on latex gloves can amplify an allergic reaction, most medical gloves are non-powdered and instead feature a special inner coating. For cleaning work or surface disinfection, we also offer special PVC, PE or nitrile gloves. A measure of the quality of craftsmanship of disposable gloves is the so-called accepted quality level (AQL). The level disclosed by the manufacturer is a quality indicator for the thickness of the used material. The lower this AQL value is, the safer, i.e. thicker, the disposable gloves are. Furthermore depending on the purpose of use, the elasticity and tear resistance of the material plays an important role. Whether they are standard gloves, gloves for sensitive skin or protective gloves for special applications, with Praxisdienst, you will find a large selection of medical gloves at affordable prices. You not only have the choice of surgical, exam and protective gloves, but you can also choose from various glove materials and diverse sizes. Of course, we also offer you a wide assortment of compatible glove dispensers for your single-use gloves. Use our practical filter function and sort the gloves based on material, sterility, powdering and purpose of use. This is how will find the perfect disposable glove for each activity. In our online shop, you will exclusively receive protective gloves from renowned brands and manufacturers like Ampri, Ansell, MaiMed or Peha. In most cases, the disposable medical gloves are offered in pack sizes of 50, 100 or 200 pieces.